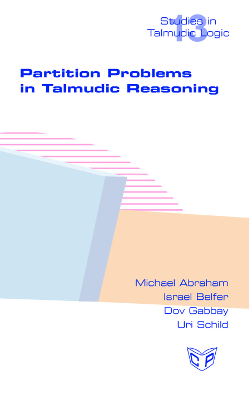 This book deals with a problem that has been discussed quite a lot, both in the academic and the halachic literature, the problem of partitioning. The fundamental and well-known partition problem in the Talmud is the partition of lost property (“Two hold a garment”) found in Baba Metzia 2a, and its generalisation (“n hold a garment”). The Talmud also deals with the problem of division of the estate of a deceased among creditors in Ketubot 93a. Our aim is to organise previous work, give a complete picture of the domain and add our original work. We specify what the basic assumptions are, similarities and dissimilarities between the problems and the various approaches to their solution. We give general case algorithms for these solutions. Where necessary we also prove the existence and uniqueness of the solutions.